I usually try to feature dogs from my state of Missouri, but today I am going across the border to Kansas. Meet Stan the Man. He looks so much like our Bennett, I knew he was the one for today. 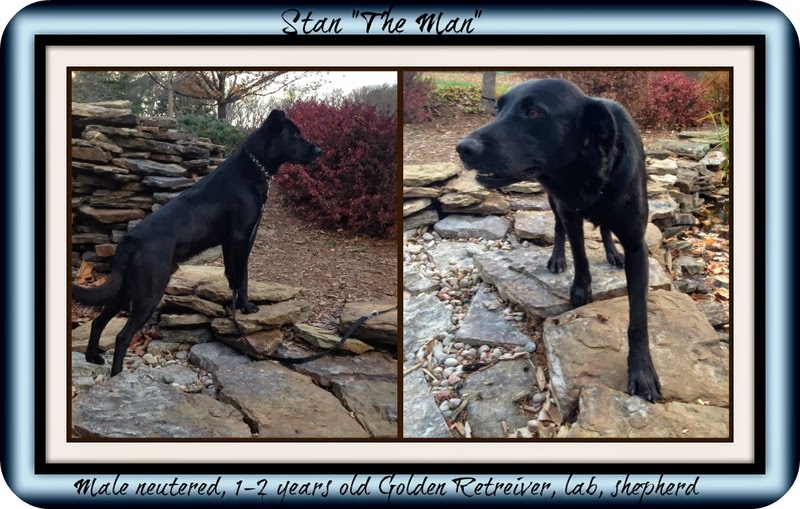 Black labs (and Lab mixes) will always be close to our heart and we have always had one. So, please meet Stan. perhaps, his hair is a bit longer and wispy. very clean and loves toys..... He is approx.